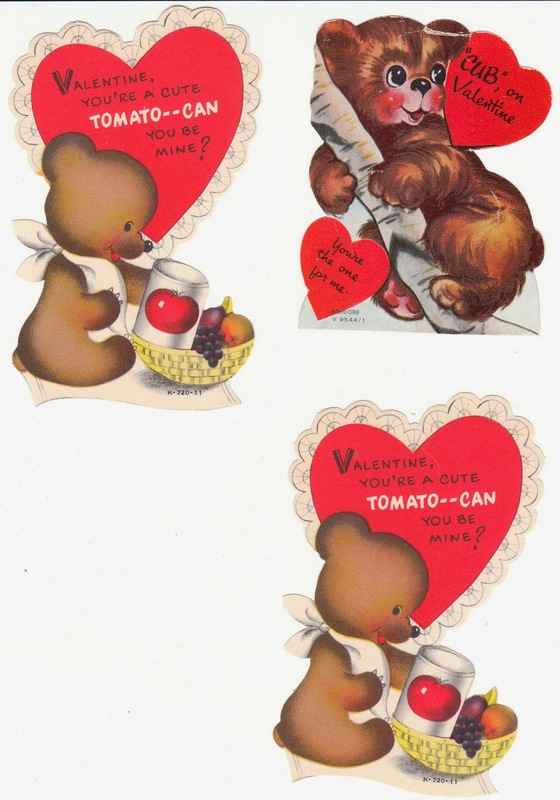 If you have ever thought about collecting vintage Valentines, this would be a great start! It would also be fun for a vintage Bear collector. 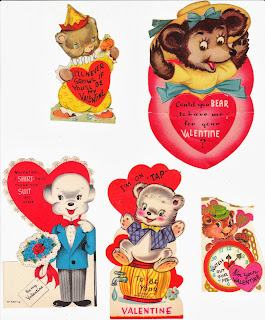 This is a collection of 11 vintage Valentine cards. 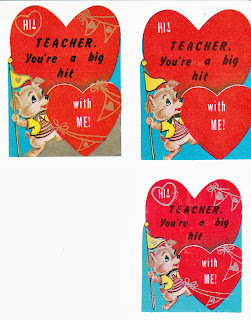 They are cute little die-cuts, like children exchanged at Valentine's Day. (Who remembers Valentine boxes?) You'll find this vintage bear collection here: 11 vintage bear Valentines at Birdhouse Books.